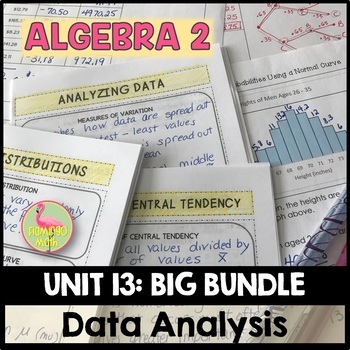 This is a BIG Bundle of foldables, guided notes, homework, daily content quizzes, mid-unit and end-unit assessments, review assignments, and cooperative activities Algebra 2 Honors UNIT 13: DATA ANALYSIS. 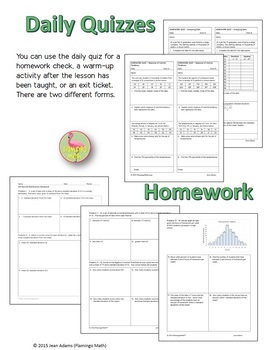 The unit includes 5 lessons which are presented to students using two different note-taking techniques. The product includes everything you need to teach a rigorous lesson each day. 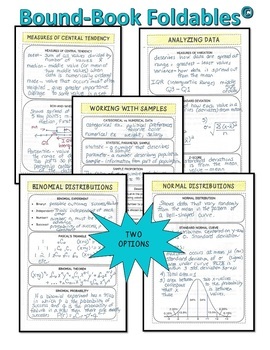 OPTION 3: A set of Guided Notes is a full-sheet skeleton of scaffolded notes for providing differentiation to your students. 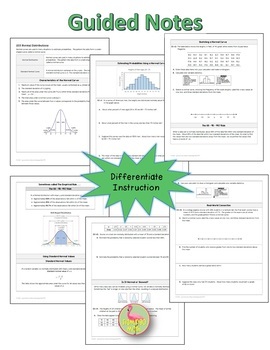 Every "A-version" quiz or test has now been released for you as a WORD document to meet your individual classroom needs. The topics can be purchased in individual lessons at my store.